Nobuyoshi Tamura, 8th Dan, Shihan, died on July 9, 2010. Tamura Sensei was not only a great teacher of Aikido but also a wonderful human being. I trained with him in the 1980’s and 90’s several times, including twice at his Summer Camp in Saint-Mandrier in the South of France. Because of his great gifts to the development and practice of Aikido during his lifetime, this past Sunday’s class (July 12th) was a memorial class honoring his life by teaching several of the techniques that are not frequently taught in seminars, except by him. I taught several techniques from Sode Dori (sleeve grab) and Mune Dori (chest grab) that Tamura Sensei often taught in seminars, especially in his later years. Everyone enjoyed practicing techniques from these attacks that, for some, was a new experience. 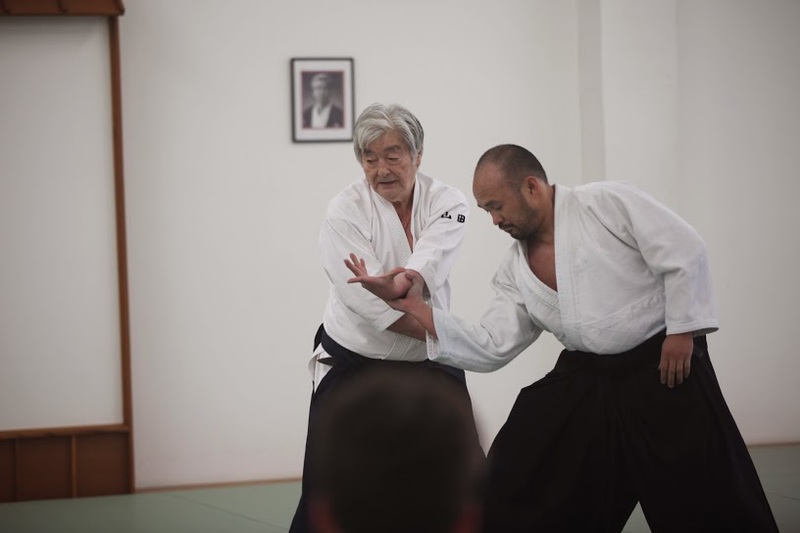 Training with Tamura Sensei was a very special experience. His Summer Camp was a multicultural affair. Scores of Aikidoka from many countries in Europe and North Africa attended this Camp, which was held in an armory-like building with a giant mat space. Tamura Sensei taught two 90-minute classes each morning, leaving the afternoons free for lounging on the beach or whatever. At 5 PM one of his senior students would teach a class. Tamura Sensei was a very active teacher, watching students intently and correcting students of all ranks as he noticed a flaw in their technique. I have a very fond memory from my first Camp with Tamura Sensei that speaks to the quality of his character. On one of the days, lunch was arranged for all the attendees. Sensei and I ended up sitting close to each other on either leg of an L-shaped table. At one point during lunch he looked at my empty wine glass and asked (in French of course) if he could get me another glass of wine. 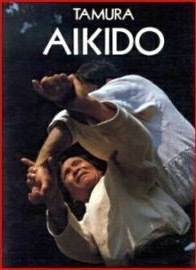 I was dumbfounded at the graciousness of such a renowned Aikido shihan. Tamura Sensei was loved by many Aikidoka. At the 1994 USAF Summer Camp commemorating the 30th anniversary of the USAF under the leadership of Y. Yamada Shihan, Tamura Sensei was invited to teach. Of the 700-or-so attendees at the Camp, maybe 300 attended any given shihan class. However, when Tamura Sensei taught, it seemed like all 700 students turned out for the class, leaving about a square meter for each pair to work out. Even in this crowded environment, he “worked” the mat, engaging as many students as possible in the time available.